One of the most used instant messenger clients is, without doubt, Windows Live Messenger. Even though it includes publicity and it needs to improve some minor aspects of the application it is still a practical application that is well valued by the users. Nevertheless, Windows XP includes in its installation an ancestor of this well known instant messenger client, known as Windows Messenger. It is a very basic applicaation, with a lot least usability. 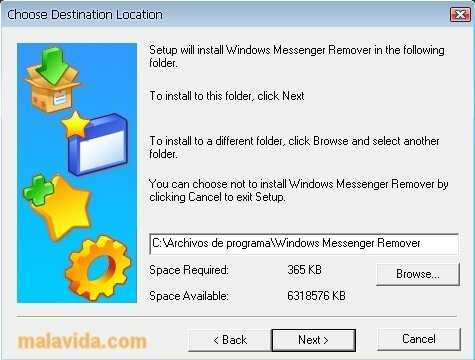 If you want to get rid of Windows Messenger and avoid that it is loaded in memory each time the system is launched, you can do it manually or you can use an application like Windows Messenger Remover. - Enable Windows Messenger only when you need it. - Deactivate Windows Messenger completely. - Disable Windows Messenger from the beginning. - Deactivate Windows Messenger when Outlook Express is running. - Eliminate Windows Messenger completely.